If I had to choose between DisneyWorld or Universal Studios, Universal would win every time. 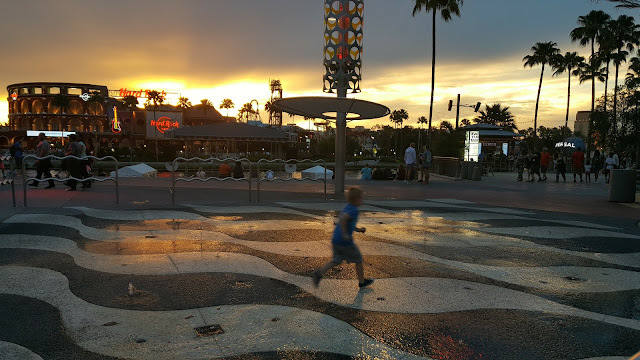 We love the parks and I couldn't wait to visit again this time around - especially as Elliot is finally tall enough for the minion ride, yay! 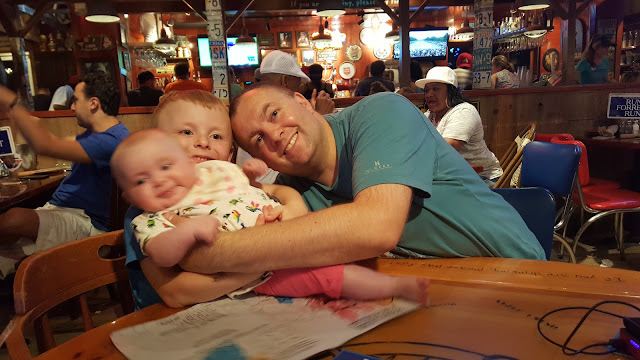 The kids were awake at 6am today so not as bad as yesterday. Being up early has it's benefits I suppose as we were at Universal by 9am! The parking attendant tried to get us to upgrade to preferred parking ($30 rather than standard $20) but it was dead quiet and we didn't bother with that, we were in the first block anyway. 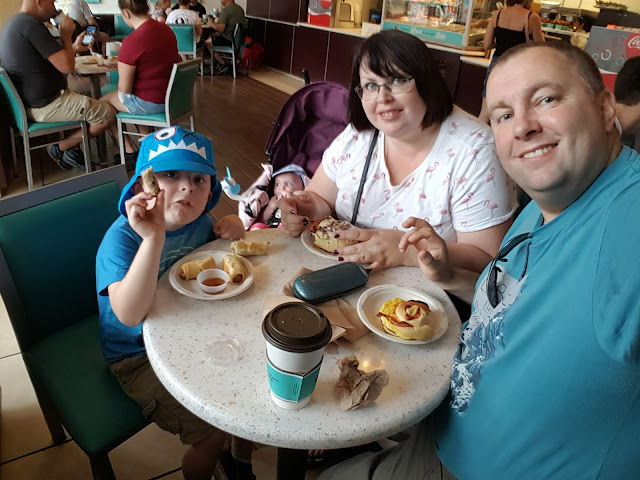 We headed over to Citywalk and popped into Cinnibon for breakfast. 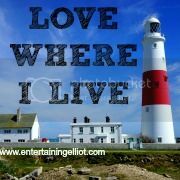 I love this place and we always try and visit while we are in the US! I had a giant sticky bun and it was AMAZING!! Hubby went off to pick up our tickets and he confessed that he'd treated us to express passes - woohoo! Our first stop was the Minion ride and Elliot could not wait to get on it. Last time we came he was too small to go on and he's been talking about it ever since so he was so happy to have grown those extra inches over the last two years. It was my first time too and we both loved it! 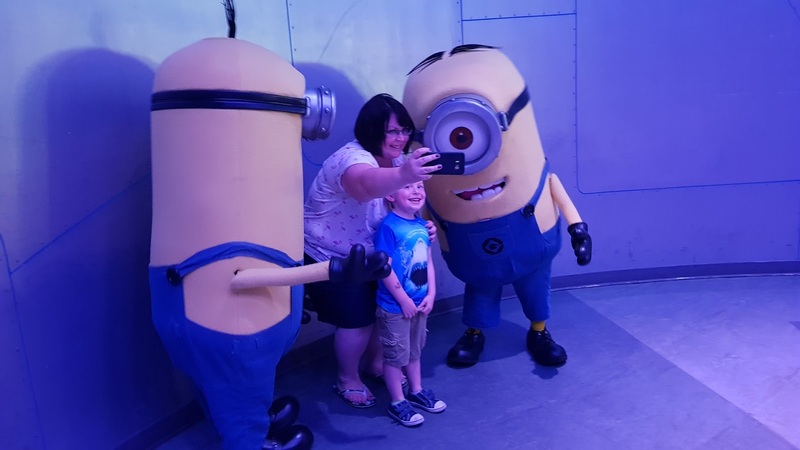 As we were coming out of the ride we joined the queue to meet two of the minions (who knows which ones, I can't tell them apart) and we got a selfie! We didn't really have a plan with the park but the express pass was really useful in maximising our ride times and minimising queuing. 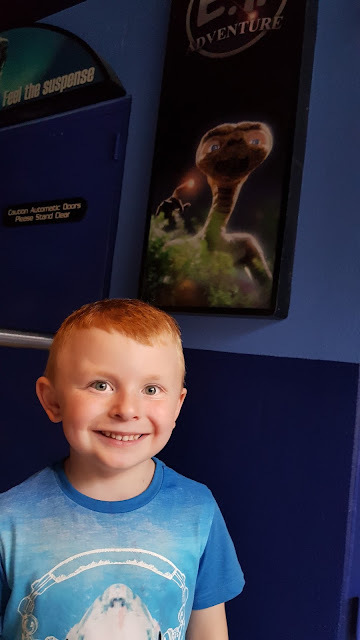 Like most 4 year olds, Elliot doesn't have a lot of patience so it was great not to be waiting in queues and having him whining! 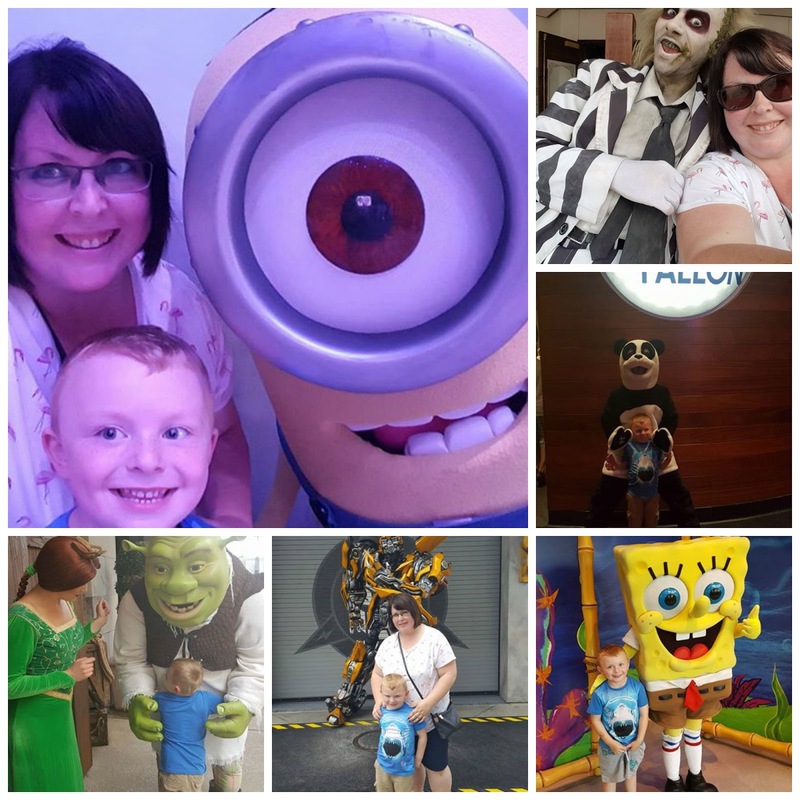 We met lots of characters throughout the park including Transformers, Beetlejuice, Shrek and the gang and Spongebob. 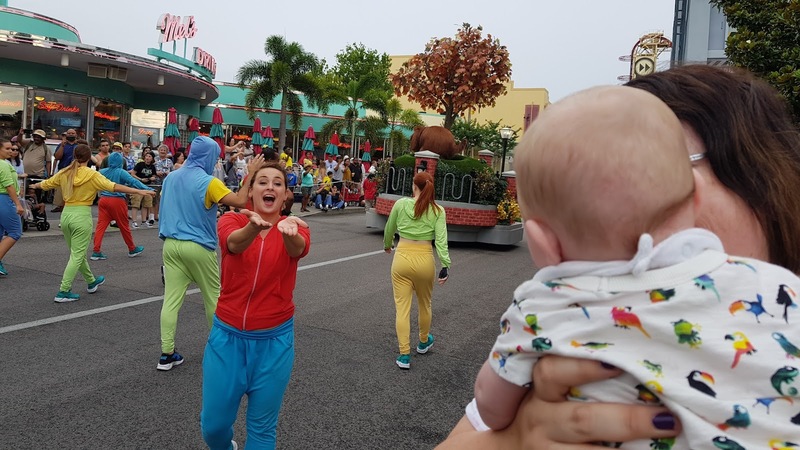 Elliot was hoping to see Scooby Doo but sadly we didn't spot him! I don't know what the schedules are for the meet&greets but it looked like you just had to be in the right place at the right time. When we met Shrek we were the very last family before they closed the queue - phew! We bought one of the refillable cups which was around $20 I think but we definitely got our moneys worth - sharing it between 3 of us meant we must have filled up at least 10 times! My fave was the pink lemonade. The only downside with drinking lots was Elliot needed a wee constantly. 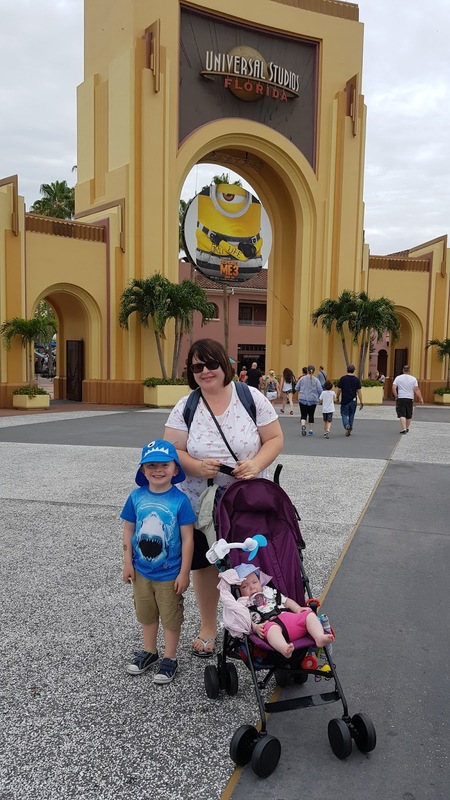 It became a running joke that we'd get to the front of the queue and he'd need the toilet - this happened on the Harry Potter ride, Jimmy Fallon and Minions!! Speaking of Jimmy Fallon, I loved this ride! Paul had no clue who he was but I've seen lots of clips of him on YouTube - really enjoyed the ride and it was so clever how it was done. I liked that there was lots to look at before you get on the ride too. 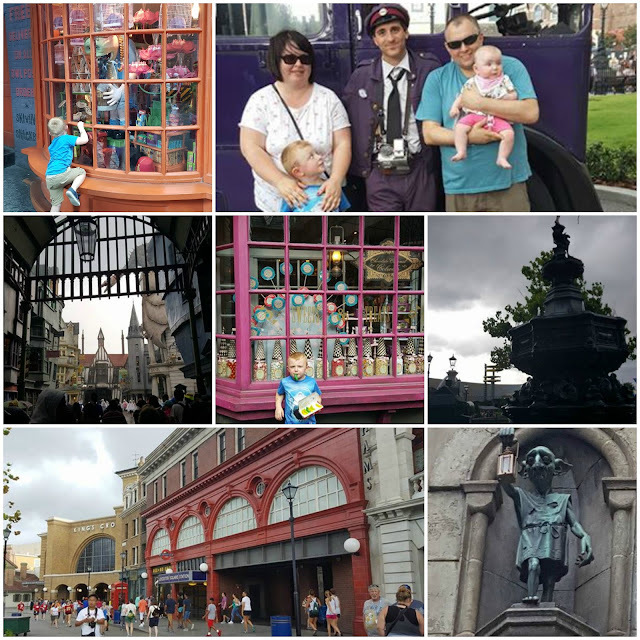 When we reached Kings Cross and Diagon Alley, the skies went ominously dark and a breeze came out of nowhere so we guessed that rain might be on the way....and yep, it poured down! Paul and Elliot were on the Gringotts ride whilst I was sheltering from the rain and trying to feed Erin in the dry, all whilst trying to wrangle my poncho. They had a bit of luck on the Gringotts ride - Elliot was saying he didn't want to do it but one of the staff members convinced him he should do it, and took him and Paul right to the front of the queue! (Couldn't use express passes on that one). By the time we'd had a look in the sweet shop (and taken Elliot for yet another wee) the rain had slowed down and we were able to go outside without getting drenched. Between Paul and I we managed to cover most of the big rides (he did more than me, I'm abit of scaredy cat with the big ones) and it was great that Elliot could go on most of them too. 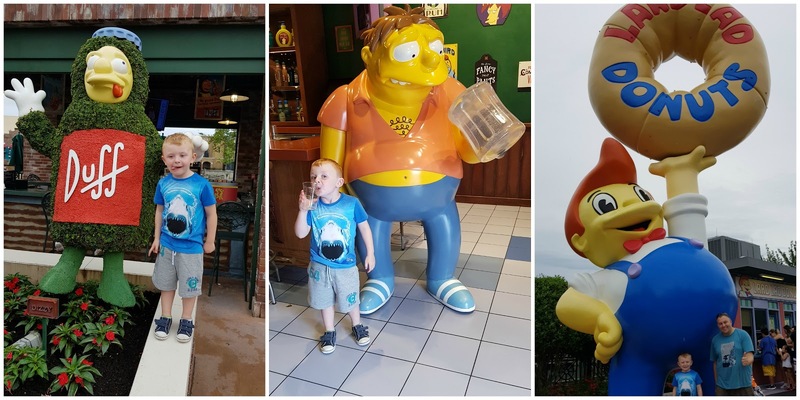 He loved the Simpsons area and really enjoyed the Simpsons ride. The whole day went so fast and before we knew it, it was time for the parade at 7pm. Paul got us a spot and Elliot and I popped over to do the Transformers ride which was brilliant!! 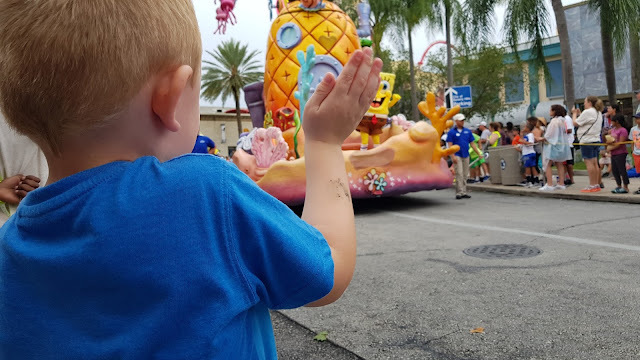 We got back just as the parade was starting and it was nice to see all the characters, especially the Secret Life of Pets ones who weren't there last time. Erin seemed to enjoy it too and she got lots of attention from the parade dancers! The boys had one last go on the Minions ride and we then let Elliot loose in the gift shop. Everything was so expensive and typically, he wanted everything! We got away quite lightly with a $5.99 Secret Life of Pets blind bag but we really could have spent a fortune. 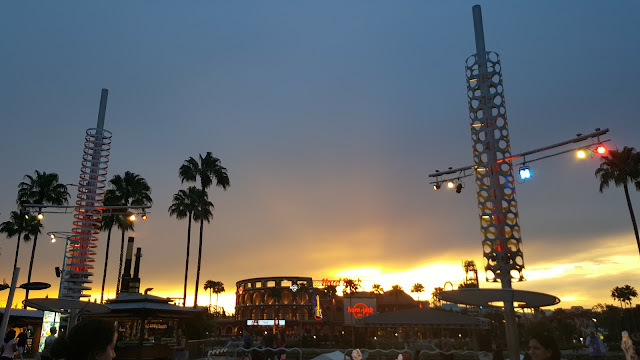 As we left Universal Studios and walked round through Citywalk, the sun was just setting and the colours were amazing - the Hard Rock Hotel seemed to glow! 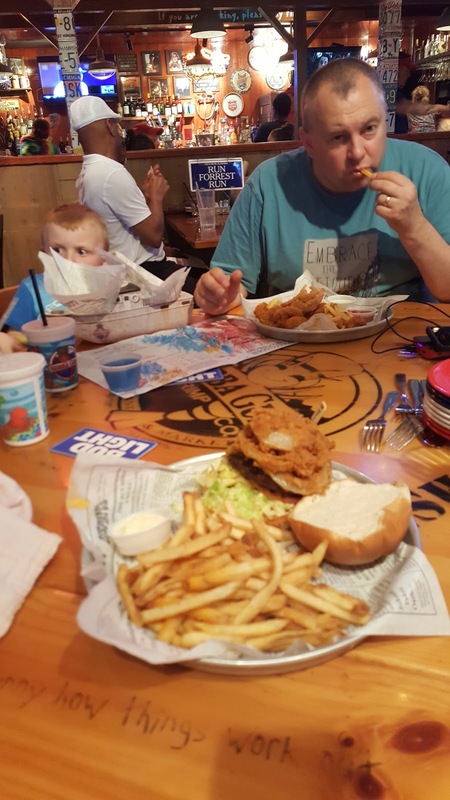 We ended our day with dinner in Bubba Gumps, taking advantage of our Landrys card. The rest of the queue were told a 40min+ wait but we were taken in and seated pretty much immediately - brilliant! We had a nice meal but Elliot was so so tired, poor boy was literally falling asleep as he ate his pudding! We had a brilliant but exhausting day - love Universal Studios!